Ah Japan, the fuji apple of our eye. This gorgeous nation is known for being a food lover’s paradise – but we’ve learned that it’s more like knocking on heavens door, if you know where to find it. We’re making like Karaage’s Angels by giving you the key to Japan’s top eight foodie experiences, courtesy of Japan Food Tours (aka the only way to feast your way through the country correctly, in style). 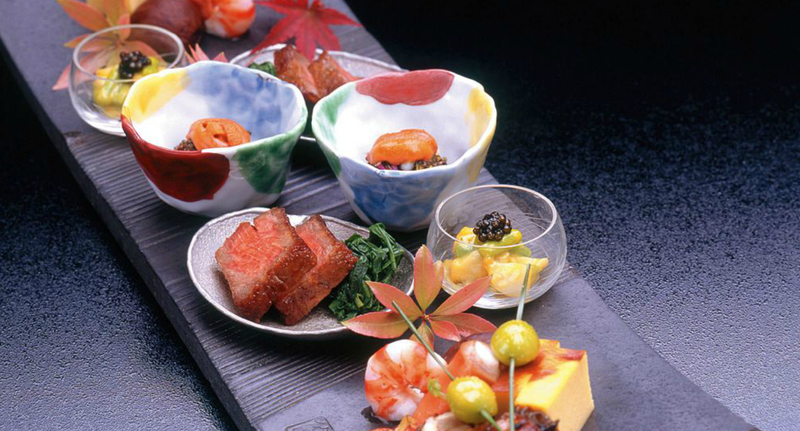 Prepare for high end sushi to kaiseki cuisine and everything in between – from Kyoto to Sendai to Tokyo. Sounds good, kimo-no? Psst… click here to win a 12 year old Suntory Hakushu! 1. 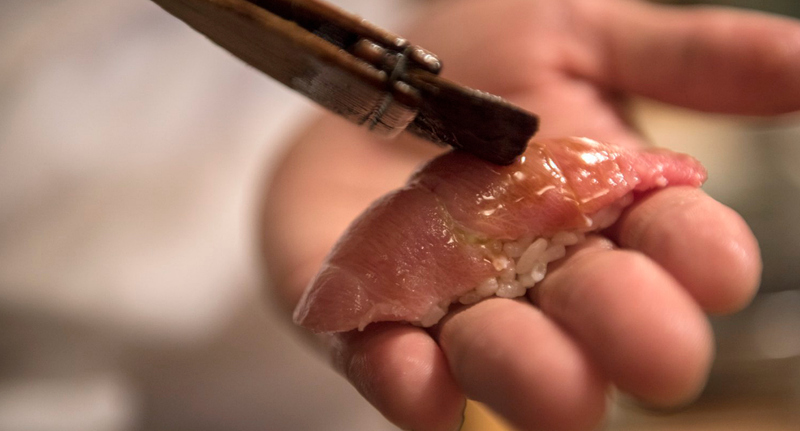 ‘Otoro’ served by a fourth generation sushi master in an exclusive restaurant. Japanese Bluefin Tuna Belly, known as Otoro, makes for the most flavour packed, melt in your mouth morsel you will ever eat. It’s aged for three days to develop its flavour to the max, making it to die for. 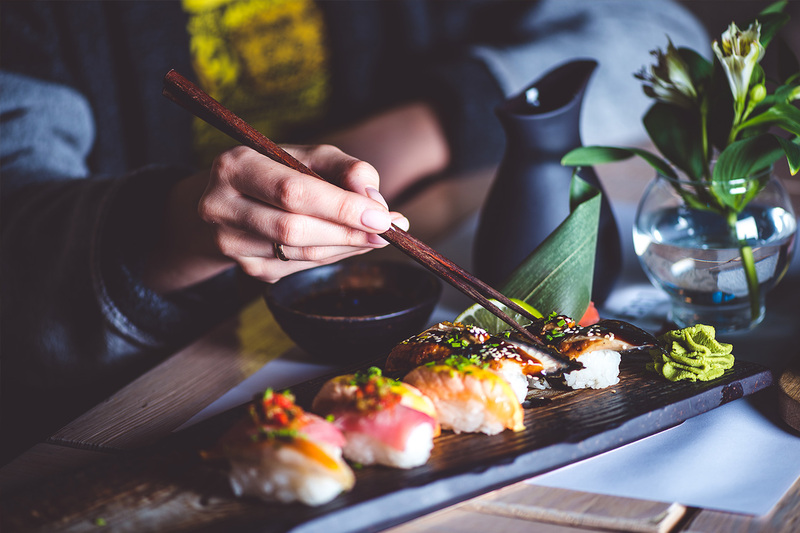 To get the goods, you need access to a 118 year old members only sushi restaurant – meaning you have to be invited by a member to attend, or by going with Japan Food Tours! 2. 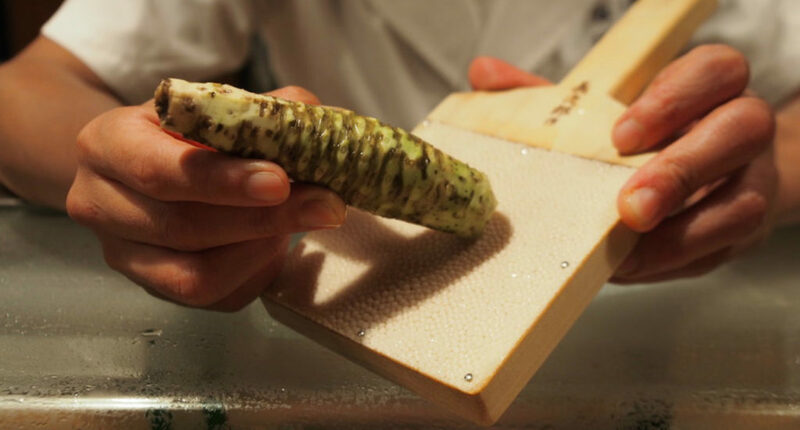 Taste handpicked wasabi, grated in front of you by a sushi master. It’s time to get real. Real wasabi is almost impossible to find outside of Japan, so when you hop over there, this is a must try. As its grated in front of you by a fourth generation sushi master, sourced from the pristine streams of Mount Fuji. It’ll go great with sushi, sashimi, unagi and uni (sea urchin) and even wagyu, to name a few. 3. Hidden ramen shops of Yokohama. To find Japan’s best ramen, leave Tokyo’s bustling streets and head down the road to Yokohama. Hidden away from tourists is a ramen shop so amazing you won’t want to leave. An umami packed soup made from a combination of chicken, pork and fish with handmade wheat noodles will have you begging for more. To complete the mother of all bowls, you’ll find a generous slice of smoked chicken, soy-sauce infused egg, fresh Japanese herbs, freshly diced onion and pickled bamboo – best enjoyed with an ice-cold house-made tea. This is ramen you’ll want again, and again. 4. 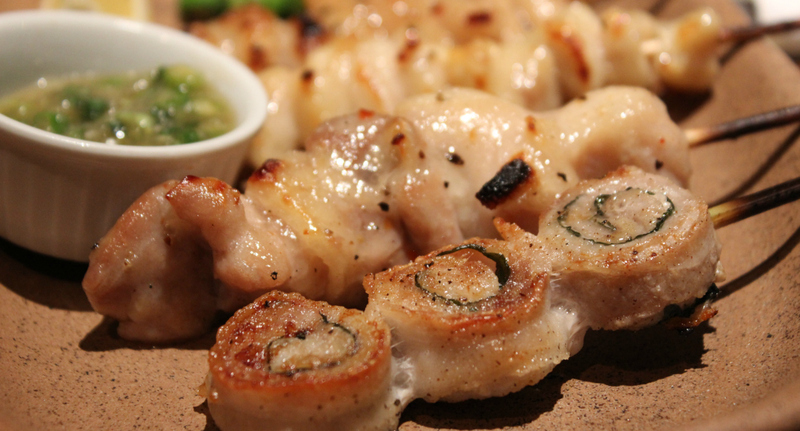 Yakitori made with Nagoya kochin – the best chicken in Japan. Chicken on a stick ain’t basic in Japan. 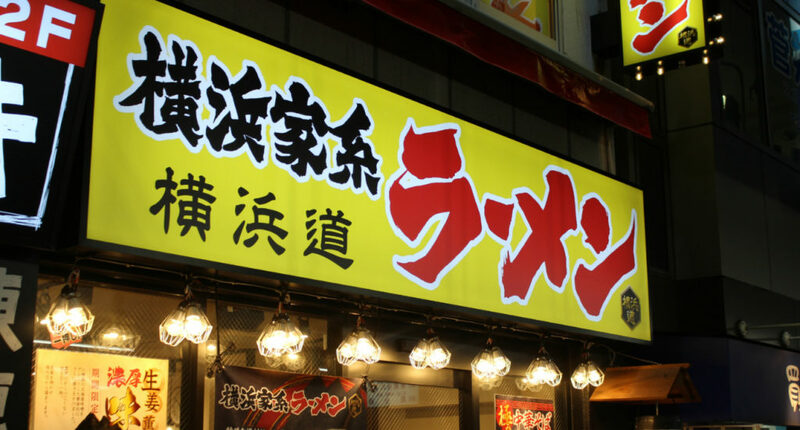 Another hidden gem away from the tourists’ reach is our favourite yakitori restaurant, where you get to experience the true flavours of Nagoya kochin, aka Japan’s best chicken. Grilled by hand over petrified Japanese charcoal, the aroma emanating from this place is intoxicating. Of course the ice cold beer, wine or sake matches perfectly and will have you coming back night after night. 5. A twenty-two course tempura feast at Michelin star restaurants! 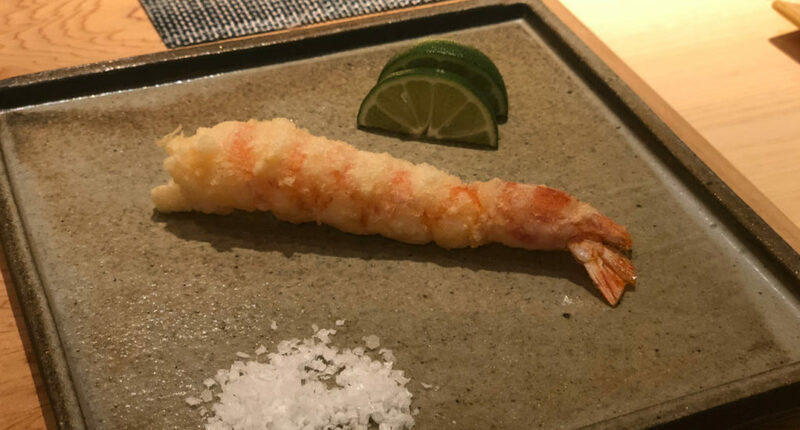 Say goodbye to stodgy battered prawns and hello to a thinner than paper and lighter than air crispy batter encasing the finest Japanese seafood and vegetables. We’re talking a huge twenty-two course feast of sheer magnificence (matched with the finest Japanese sake and French Champagne) that includes Japanese tiger prawns, unagi (eel), Kisu (Japanese whiting), Uni (sea urchin – to die for! ), 9 month aged potato, squid, horse mackerel and okra. At a 2 Michelin starred restaurant with only 8 seats, hidden away behind a non-descript door. You heard us. 6. Kaiseki and chill in a natural hot-spring near Mount Fuji. Picture this: you soaking in a natural hot-spring to melt away the stresses of life, you put on a robe made from the finest Japanese material, you return to your room and sit down at your own private table where you are served more kaiseki courses than you can count of the very best seafood, pork, beef, vegetables, fruits and condiments while looking out at Mount Fuji. Pretty good, right? Miyazaki Wagyu is without doubt the greatest piece of steak you will ever eat; buttery, packed with flavour and melt-in-your mouth realness. 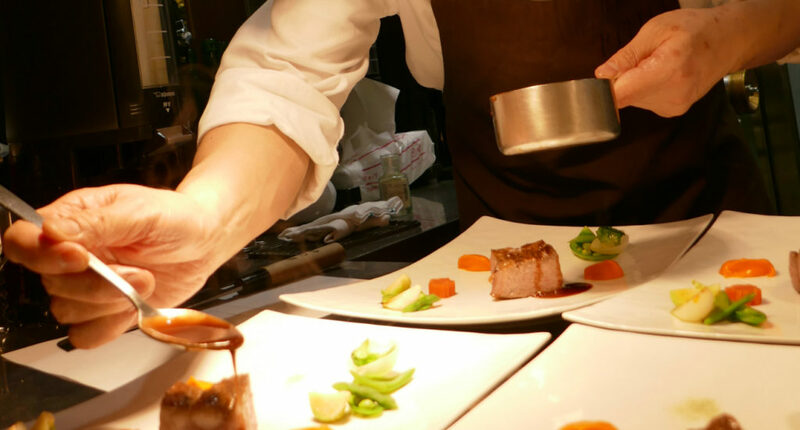 It’s served by Hitoshi-san as part of a 9 course Modern Japanese Degustation with matching Japanese wines (from a private vineyard that only supplies the restaurant!). Hitoshi-san runs a private restaurant that caters to the rich and famous and political elite, but David from Japan Food Tours can hook a girl up. 8. An underground sashimi restaurant with some of Japan’s most skilled chefs. Hidden away far from the reach of tourists, buried underground in the financial district of Tokyo is our pick for a great night of beer, sake and sashimi. 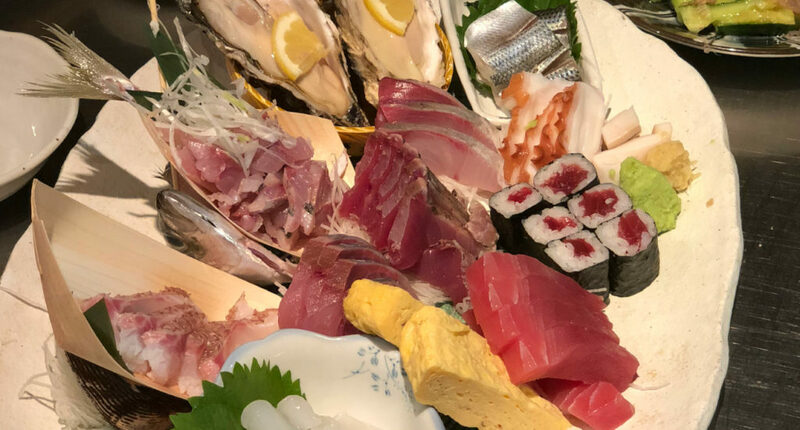 Huge share plates of the finest Japanese seafood sourced from the nearby Tsukiji Fish Market will have you begging for more. Prawns, squids, clams, oysters, tuna, bonito, white fish, omelette, pickles, eel – so many delicious things to eat you’ll never want to leave! Put the can in Japan and make this trip-of-a-lifetime happen with Japan Food Tours (we made the c happen, anything is possible). We can’t think of a better way to escape Brisbane this October! - the gourmand who thinks she’s turning Japanese.